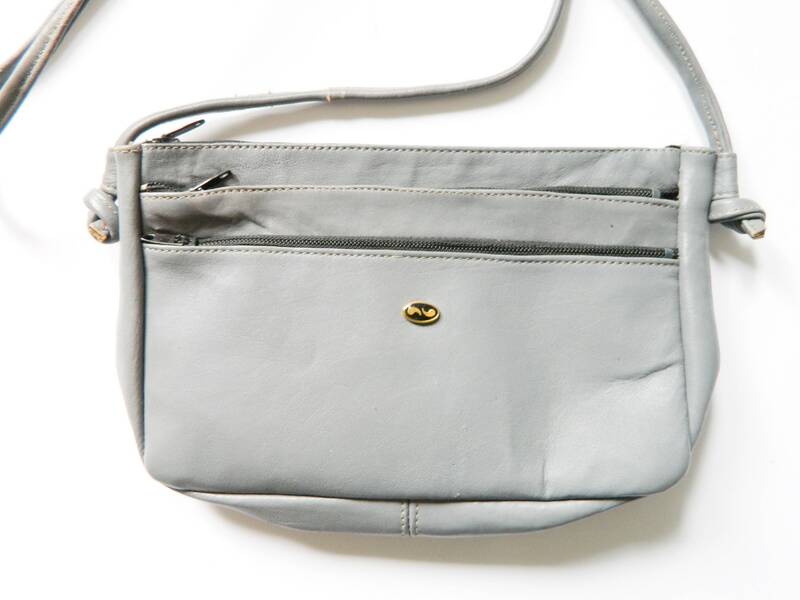 Pocket with matching purse in grey. Both parts are made of synthetic leather. 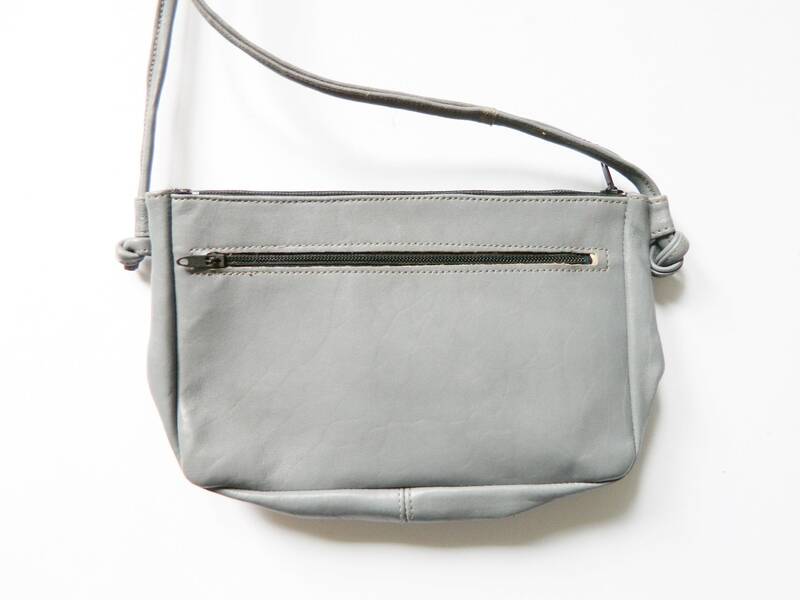 The bag has a total of three compartments outside and a compartment inside. 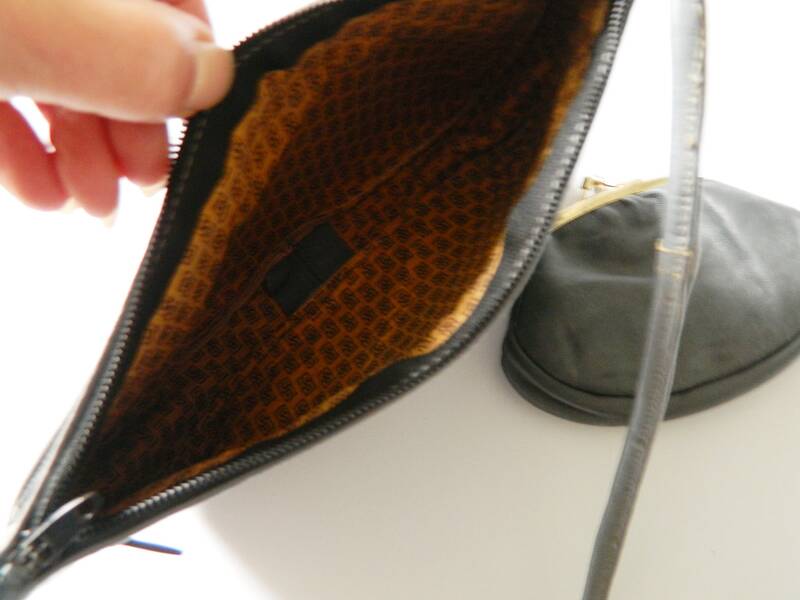 The purse has only one compartment for coined money. Very good vintage Condition. 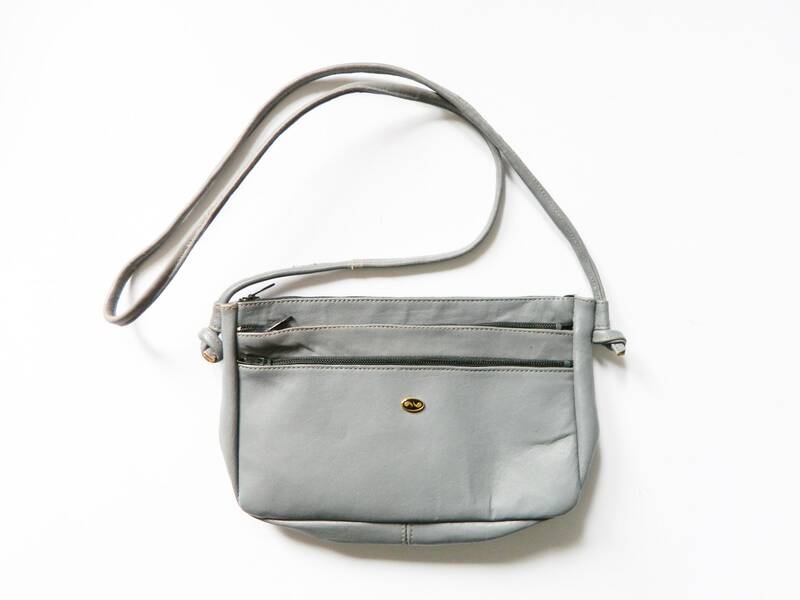 Pocket with little purse in grey. Both parts are of imitation leather. The pocket has a total of three fields outside and a field inside. 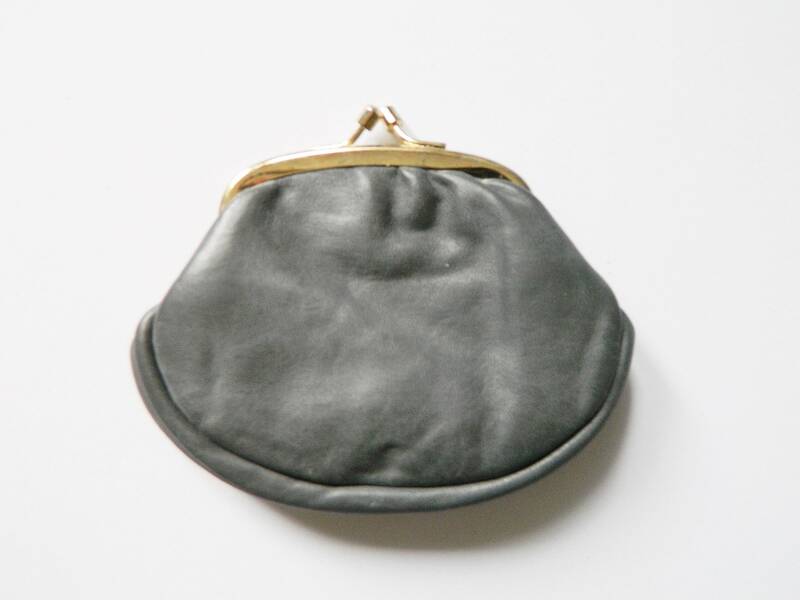 The purse has only one field for coin money. Very good vintage Condition. High 13.5 cm, 5.3 "
Width 22 cm, 9 "